All of Sundance’s schools are located within the community, offering the unique opportunity for students to pursue their entire K–12 education in one area. This creates a closer-knit community where children can walk to and from school and enjoy a similar peer group, forming long lasting relationships within their home neighbourhood. 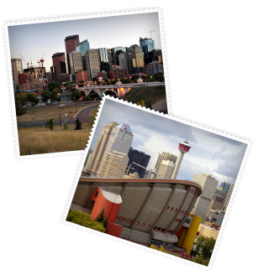 If you’re not interested in Calgary’s public schools, skip to our Alternate Schools section. Fish Creek School is located in the middle of Sundance, offering a welcoming and inviting atmosphere for students to grow in. The school’s modern design combines both open and closed classroom spaces, enriched with team spaces, tons of natural light, and enhanced technology. The result is a school that is both cutting-edge and creative, giving teachers and students the opportunity to flourish in a flexible learning environment. Sundance School boasts a significant amount of space and offers beautiful views of Lake Sundance. Every classroom has a handful of computers, and students have tablets and other electronic devices at their disposal. Outside, several fields and sports amenities are available, and the neighbouring Sundance Park is used to expand on the regular curriculum. The school also offers a French Immersion program. See below for information on which schools Sundance’s French Immersion students go on to attend. MidSun, named in honour of Midnapore and Sundance, offers a wide range of learning and exploration opportunities for students. In addition to core academics, the fully PC-networked school also offers a learning resource centre, daily physical education, music and art programs, and life skill focused classes like foods and construction. The school also believes in every student’s “right to learn,” developing strategies to meet the unique needs of every student. The result is a well-rounded education that prepares every student to further their studies in high school. Centennial High School strives to prepare students for work and life while teaching them to make the world a better place. A wide variety of optional courses are available to Centennial students, many of which are career-focused and designed to allow students to explore their interests and opportunities. AP classes and experienced work programs are also available. Note that Sundance students can opt to begin their studies at Fairview in grades 5 or 7.